The Wild Rose Antique Collectors Society was founded in 1974 by individuals who shared a passion for collecting and researching antique and collectible objects from various periods in Edmonton and abroad. This site provides information on our club operation and a brief history of the past activities, its upcoming events and most importantly, membership opportunities. Come To A Great Collectors Meeting! I have been a member of the Wild Rose Antique Collectors Club for the past six years and I am so glad that I joined. As an antiquities enthusiast, I have learned so many interesting things about history from fellow collector members. If you are a collector and would like to discuss and share all types of collectible treasures and knowledge, please come out and visit The Wild Rose Antique Collectors Society. You will be glad you did. The signs will be up all year long and we only need to change the show date section each year. This will be great for promoting our society. This Years Wild Rose Antique Show Is Approaching! We have only a few tables left for this years show, if you are interested in joining the largest show in the west please contact Bernie our show director as soon as possible. Some notable changes are that we will be doing free appraisals for all guests at our appraisers area. This will surely be a great show. Brent Luebke – 19th Century through to modern Canadian, western European and American fine art. 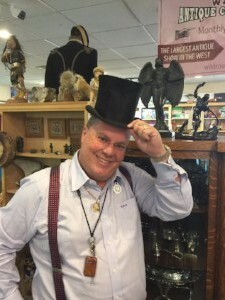 This Years Wild Rose Antique Show Is Approaching!We have only a few tables left for this years show, if you are interested in joining the largest show in the west please contact Bernie our show director as soon as possible.Some notable changes are that we will be doing free appraisals for all guests at our appraisers area. This will surely be a great show. We meet on the 4th Monday of Each Month. We meet at the Delwood Community Hall (the little hall next to the school and outdoor ice rink) located at 7515 Delwood Rd, Edmonton, Alberta. We have prizes, a fun auction, snacks and amazing antique collecting stories and guest speakers. The meeting starts at 7:30pm. If you are interested in collecting, picking, antiquing or just a beginner, this is a great place to visit.